I'm topping off this weekend with an amazing product review! Meet LensVillage.com! 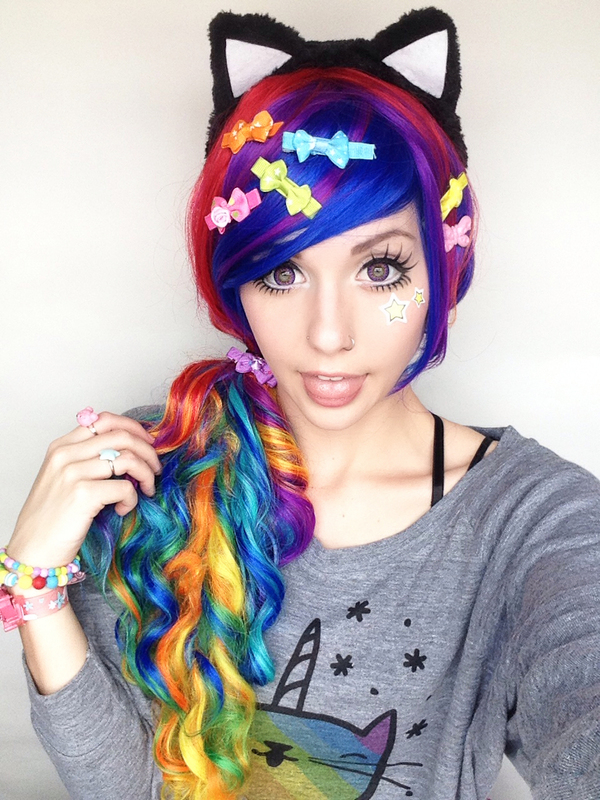 LensVillage is an online circle lens store with over 400 lenses to choose from! You're probably wondering how on earth I narrowed down which lenses to review for you. 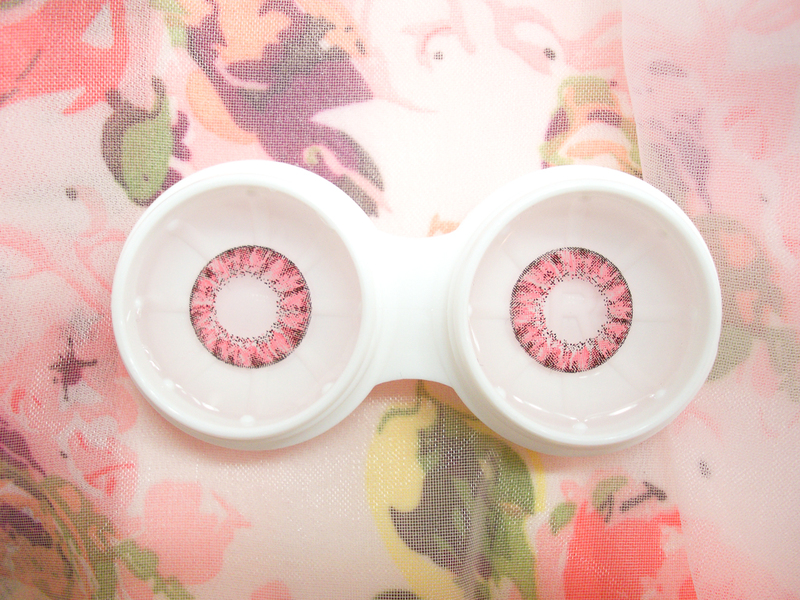 Well, I am on a mission to find my favorite lenses in every color. 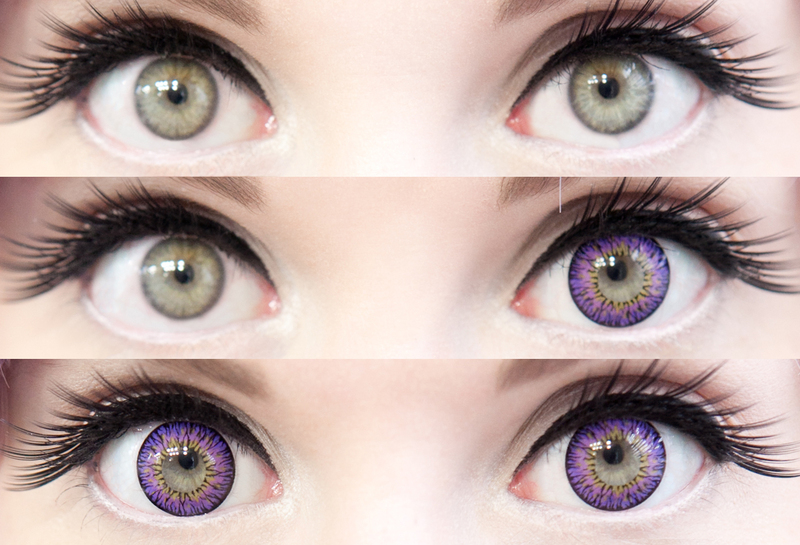 I have already found my favorite green and blue lenses, so now I am testing purple and pink lenses. 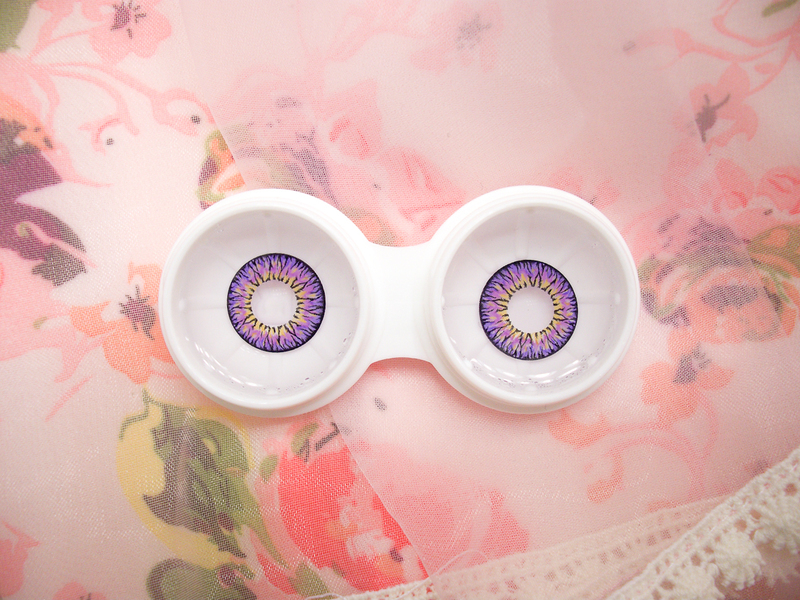 And I am happy to report, I have now found my most faaaaaavoritest violet lenses OF ALL TIME. Okay, hold on. Let me back up. The LensVillage website lets you sort lenses by color, so that was my starting point. After getting to the color I wanted, I just checked out designs that looked awesome and were the largest size. 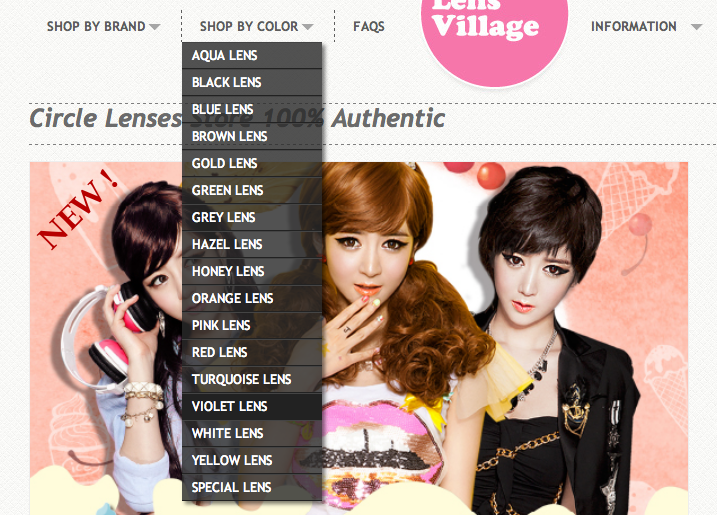 When searching the violet category, I saw a lens that I've never seen before. I.Fairy Casper Violet. It practically jumped out of the page at me... It was just so striking! Then I checked out the pinks, and found that they had I.Fairy Super Crystal in Pink. 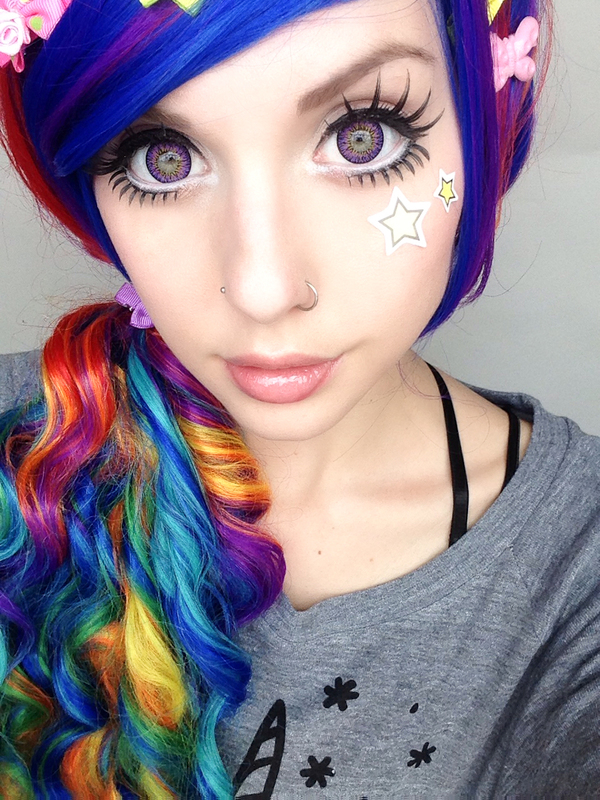 You may remember in my last circle lens review, I gave the Super Crystal Green a less-than-great review, but I do think the design is nice and wanted to give it a chance in another color, which led me to my choice to get I.Fairy Super Crystal in Pink. My package from LensVillage arrived to me safe and sound. 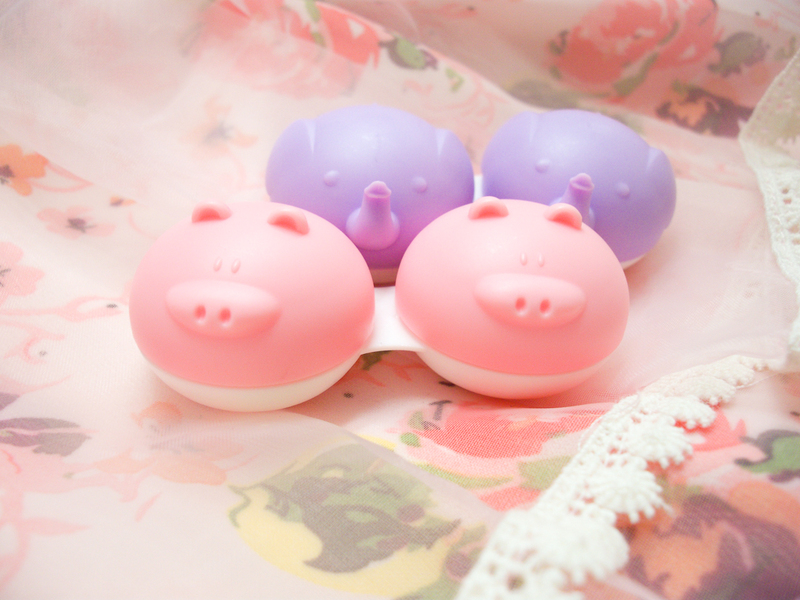 When I opened it, I found these contents: A cute pink LensVillage business card, a padded ball of circle lens vials, and two cute animal cases! Yayyy! 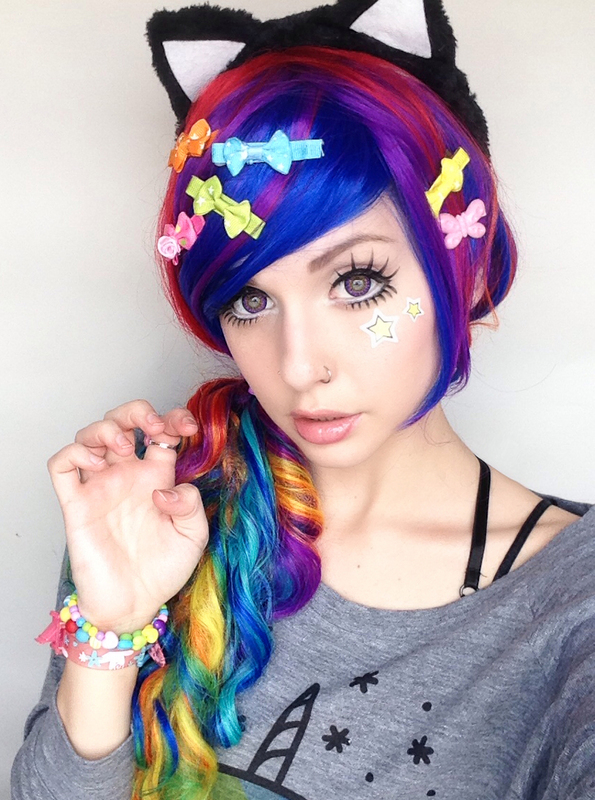 I *love* when circle lens shops offer cute cases! I got a piggy and an elephant! I especially love these cases because they match the lenses I got. That makes it so easy for me to identify which is which by their case! Now it's just time to open them up, put them in their new cases, and let them soak in contact solution for AT LEAST SIX HOURS before trying them on! Let's start with I.Fairy Casper Violet! 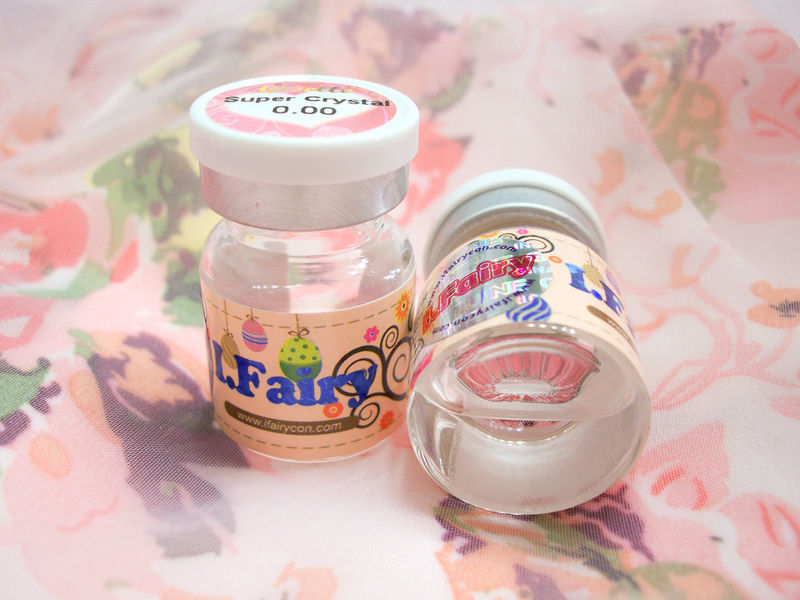 I.Fairy Casper Violet comes in a glass vial that is a very common way to ship circle lenses. They are freaking gorgeous, yall. 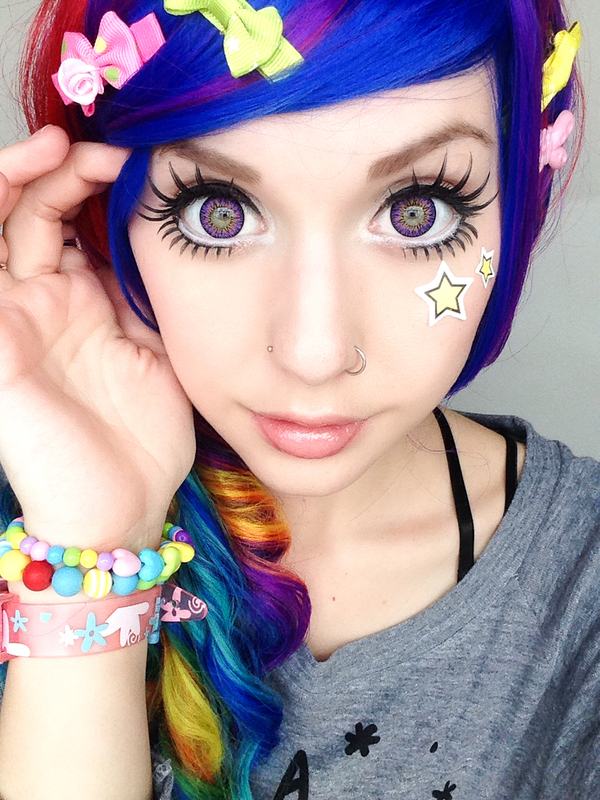 They are my current favorite lenses, which is why I've worn them in my past two Daily Style posts: Monster Girl and Meowgical Decora Girl. I love this design. It is soooo beautiful! I think it's pretty obvious that I'm really excited about this one hahaha... The design has a thin outer black ring, followed by a deep purple, then a lighter shade of purple, and topped off with golden ring in the middle to help them blend with your eyes. There are also gold flecks throughout the lenses which mimic natural eye flecks. 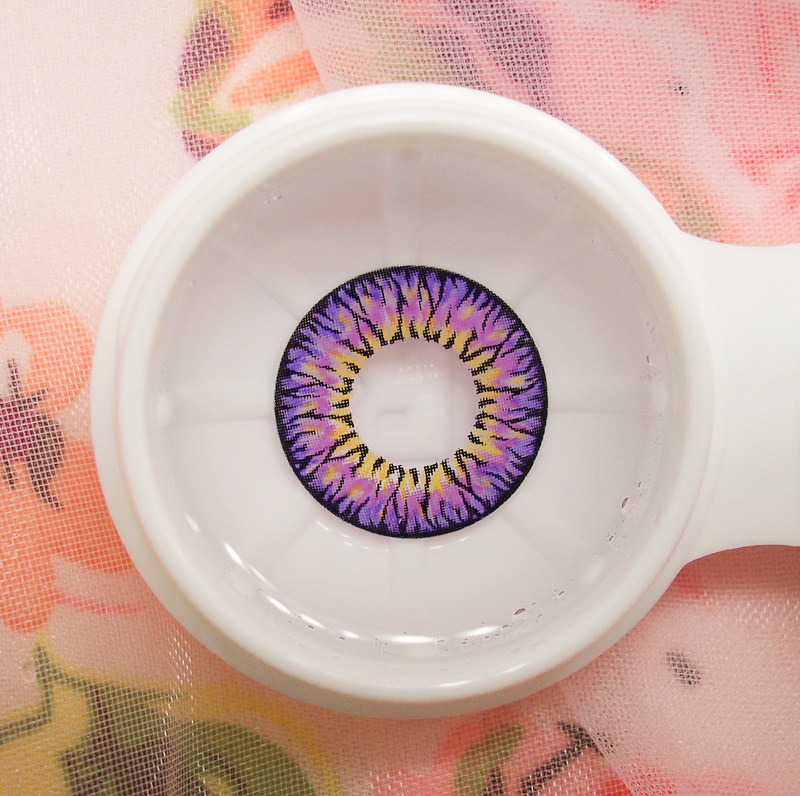 These lenses are a beautiful violet. 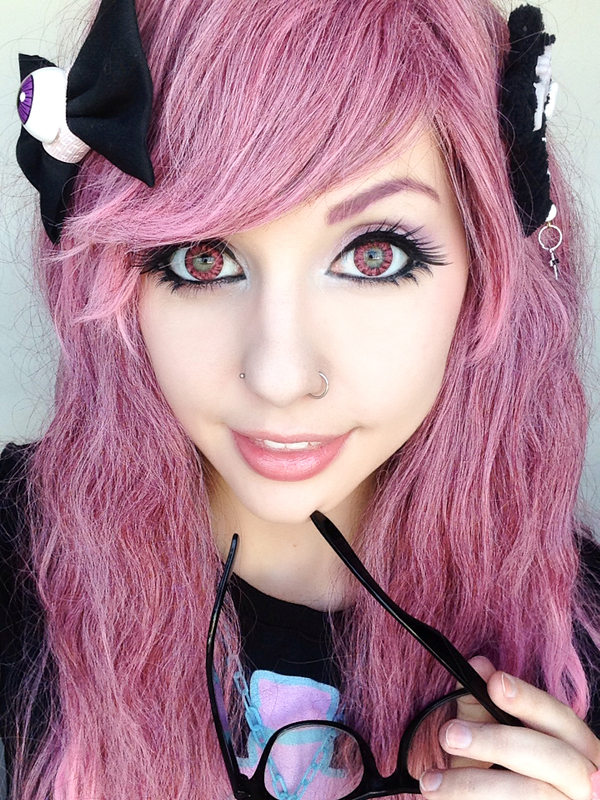 As I said above, these lenses use two different shades of purple, which is why I think I like them so much. They aren't just one flat color. I really like the dark violet to light violet. The color is very vibrant. Unique and awesome! These are huge! They are listed as 16.2mm. While these lenses are purple and huge, I think the violet color variations and gold inner ring help make these lenses seem more natural. You can check out these lenses in action in my verrrryyy first makeup tutorial! Now let's take a look at I.Fairy Super Crystal Pink! 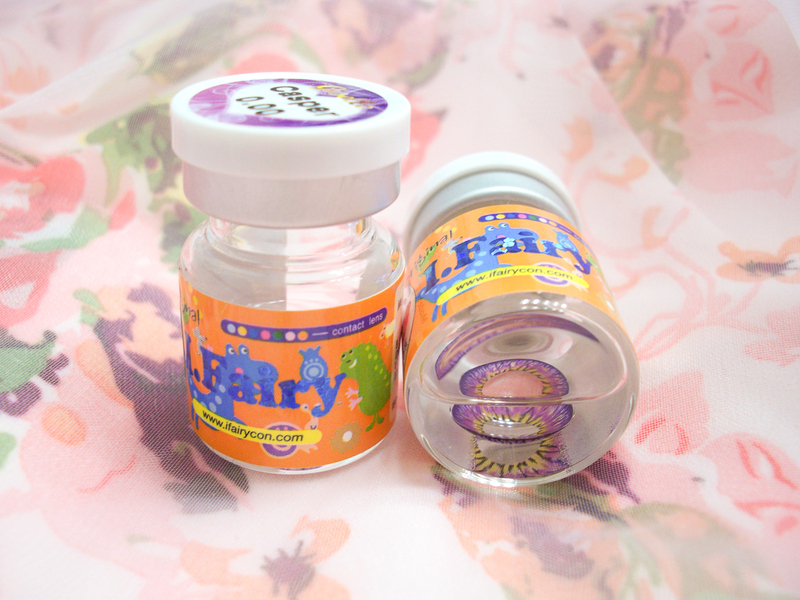 Just like the Casper Violet lenses, the Super Crystal Pink comes in little I.Fairy vials. My main problem with the green version of these lenses was that they looked nothing like the stock photo on the website I got them from. The pink ones look just like their picture on LensVillage! I really like the color of these! I'm very excited to put these in! Eeee! I like them very much! Wee! They are cute, don't you think!!? Let's go in for a breakdown! I like this design, but the design itself is very pixelated. When worn, you can barely see the pixelation, but I would prefer them to be full color. 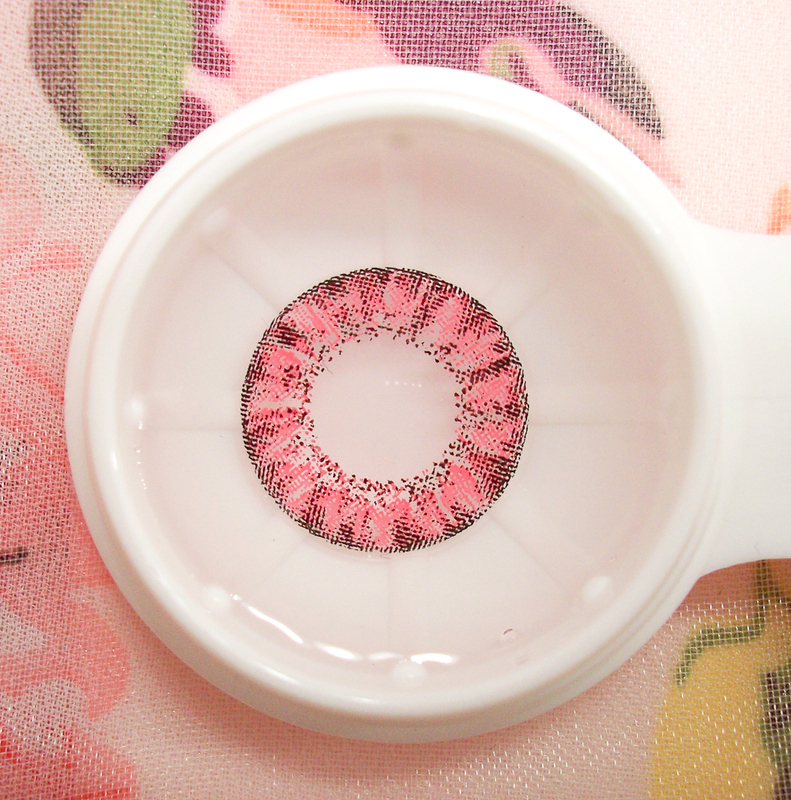 It also has a very large opening in the middle, so you can see a lot of the natural eye color. It doesn't have any sort of blending effect, so I think this lens would probably look better on someone with dark eyes. I really like this shade of pink! Looks just like the stock photo. Even without a dark outer ring, these lenses look gigantic! They are listed as 16.2mm. These are very comfortable. I can barely feel them. So, that's it for today! What do you think of these lenses?